As a teacher of English, nothing will make you feel more stupid than making a grammatical error in front of your students. The worst is when your students find out and correct you. No language teacher wants to experience that, especially in a foreign country. This calls for the need to understand all the common mistakes in grammar and how to avoid them. You can always use the best online writing websites like Papers Owl to ensure your written work is free from any errors. In the EssayExplorer website, you can find PapersOwl reviews as well as reviews of other top writing websites with high standards to help you make the best decision. These services help you avoid embarrassing mistakes in your papers or written documents. You have to work on each one of these types of mistake to review and perfect your teaching skills. This brief article will highlight some tips that will help you avoid these mistakes at all costs. It has been a raining all day today - it's been a rainy day. The cow protected its young calf from attacks by the hungry dogs. These two words can be confusing to use since they have similar meanings. However, they cannot be used in the same context because they can alter the meaning. The trick to understanding this is to know that "gone" always requires an auxiliary verb before it, while "went" does not. A pronoun represents a noun in a sentence. Whenever a sentence has two nouns, using a pronoun can be quite tricky, since you need to make it clear which noun it represents. While speaking before a class, you should be careful with your tenses. You need to understand how to use the past, present, future and the present continuous tense. Confusing your tenses in a single sentence might bring about more confusion to your students. They will learn incorrect English. This is the most common type of mistake that English writers struggle with, tutors included. Let's say you have to prepare notes for your students; any punctuation errors might alter the entire meaning of a sentence or paragraph or make it hard to read. "Its" and "it's" sound identical but a single apostrophe can change everything, right? It is high time you got rid of all these errors made when teaching English. Here is how to go about it. 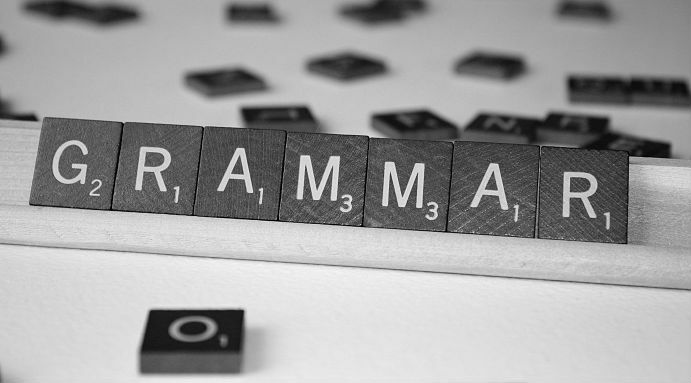 To master grammar, you must constantly read all the rules of writing and speaking. By doing this, you are always psychologically prepared to stand before your students and teach them all the essential grammar concepts. This eliminates the fear of making uncalled for mistakes. Some errors during class presentations are made out of fear and anxiety. When presenting before students, you need to build your self-confidence even though you are in a whole new environment and in a foreign country. Panicking can cause you to make silly mistakes. Weeding out this fear can help you excel as a tutor. These are what make up the English language. If you do not have the basic rules, get back to your books and master them. It is in this way that you can manage to correct the common English mistakes you make while teaching. Make novels and journals your best buddies. You will improve your vocabulary and interest in knowing more naturally. It is in this way that you can encounter other people's errors and enjoy their expertise. Also, you get to know how to correct errors that you did not even know existed. Practice makes perfect, right? Make good use of your opportunities as a teacher to learn all you can while delivering this service, and get better at it day the day. In no time, reviews of your language teaching will become more positive. To err is human. Nevertheless, you need to understand that mistakes don't define you. Working to take every chance you get to become better is the only way to cope with mistakes. Authors on Papers Owl made it by keeping on keeping on. You can only get better at this through constant practice.